Title presented by Golden Boy Promotions and Miguel Cotto Promotions. 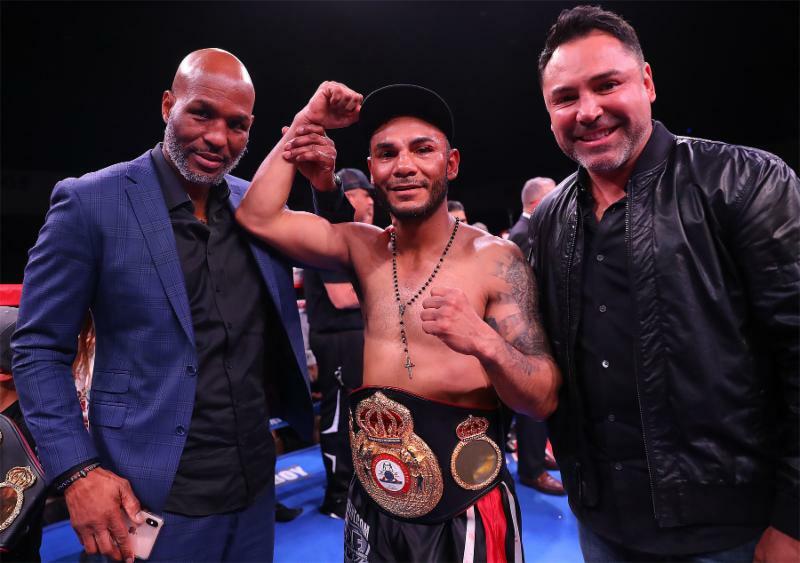 Vargas vs. Manzanilla was a 12-round battle for the WBC Super Bantamweight World Championship presented by Golden Boy Promotions in association with Promociones del Pueblo. The event was sponsored by Tecate, "THE OFFICIAL BEER OF BOXING," and Hennessy "Never Stop. Never Settle." The event took place Saturday, Feb. 9, 2019 at Fantasy Springs Resort Casino. The fights were streamed live on DAZN. Follow on Instagram @GoldenBoyBoxing and @DAZN_USA. Follow the conversation using #MachadoCancio and #VargasManzanilla. Photos and videos are available for download by clicking here or copying and pasting the link http://bit.ly/February9DAZN into a browser. Credit must be provided to Golden Boy Promotions for any photo and/or video usage.